The two-phase effort called "Project Ubin" would see global central banks settling cross-border transactions in real time via a blockchain. Designed to further research the prototype, the specific aim is now to improve how transactions are settled compared to the current system, where they are queued and periodically netted using "classical algorithms," according to a representative of the Monetary Authority. The process, called "gridlock resolution," requires that a single central party have an overarching view of all the transactions to find the net sum. But if phase two of Project Ubin is ultimately successful, that could all change. To bridge the gap between the promise of distributed ledger technology to privately settle transactions in gross – or real time, as opposed to netting periodically – a team of eight part-time staffers and two full-time interns is exploring the use of zero-knowledge proofs, secure multi-party computation like MIT's Enigma Project, Intel's software guard extension (SGX) technology and Microsoft's cryptlets. The second step of Project Ubin's current work is to identify how the platform can be integrated with various central securities depositories, including Singapore's own SGX, which is overseen by the Monetary Authority. The Monetary Authority’s plan to improve on the scalability and privacy of distributed ledger technology follows a shift in recent months away from last year's enthusiasm about the potential of blockchain to decentralize some central bank tasks. Last August, BNY Mellon, Deutsche Bank, Santander and UBS revealed plans for their own "settlement coin," a similar, controversial, effort aimed to help central banks transact using tokenized assets on a distributed ledger. 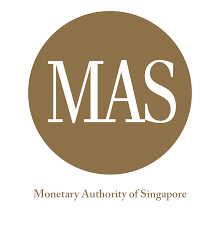 Going forward, the Monetary Authority's research team plans to validate policy questions around the possible conversion of the Singapore dollar into a central bank-issued digital currency (CBDC) and the potential impact of such a change on monetary policy.